When I look back at all the stuff I cooked and created this year, I start to think I’m pretty damn awesome. Like, I’m a freakin’ genius and everybody should love me. Then I remember that I’m a nerdy recluse, so that’s not possible. Regardless, you need to check out my top 10 posts for the year because there’s massive amounts of awesomeness going on here. Get it all! 10. 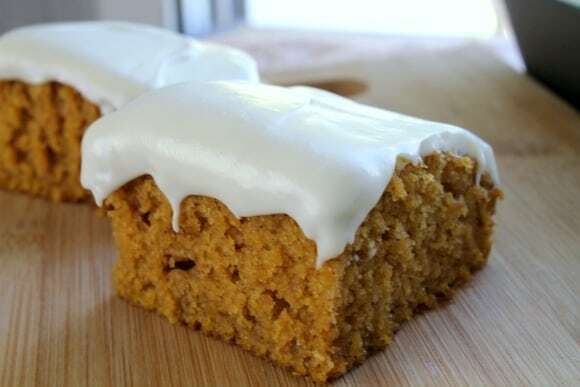 Pumpkin Cake— This cake is sort of unbelievably moist, and the frosting is just ridiculous. It’s so smooth and creamy you kind of want to smear it all over your face, but that would make it harder to eat, so I recommend just putting massive amounts of it in your mouth instead. 9. Classic Fudge— This is my mom’s recipe, which is really my grandma’s recipe, which really goes back even farther than that. It’s a classic for a reason. It’s sensational. Smooth and deeply chocolaty, I could eat a bucketful. 8. 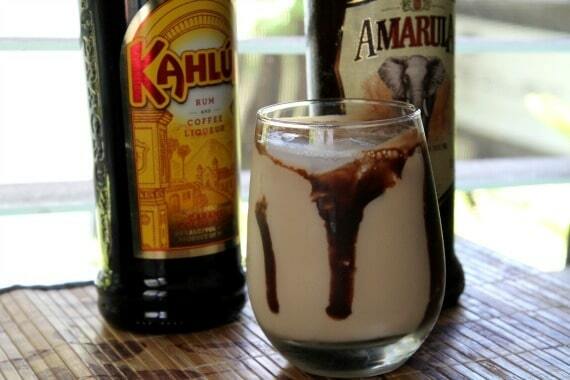 Brown Elephant Cocktail— If you haven’t gotten yourself a bottle of Amarula yet, you’re just a fool. Think of it as a fruity Bailey’s. It’s creamy and a bit sweet, and mixed with Kahlua and milk, it makes for a super fun cocktail. 7. Double Chocolate Muffins— When I was a kid, my mom would let us put frosting on a lot of weird and/or inappropriate things, including giant chocolate muffins from Costco. Imagine putting the frosting from the pumpkin cake onto one of these muffins. Then call it breakfast. I have problems. 6. 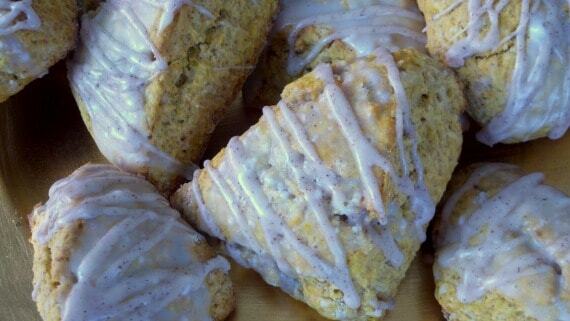 Pumpkin Scones— Somebody tried to tell me that pumpkin had gone out of style. I immediately imagined myself kicking them in the shins. Pumpkin is all over my top 10, and these scones are ridiculously awesome and way cheaper than at the coffee shop. Eat them all. Every day. 5. Passion Fruit Green Tea— The closest Taiwanese tea shop to our house is over a mile away. I feel this is somewhat unacceptable considering there used to be about five tea shops within a block of my apartment. It’s important to keep your favorite things close at hand. Put a pitcher of this in your fridge. You’ll be happy. 4. 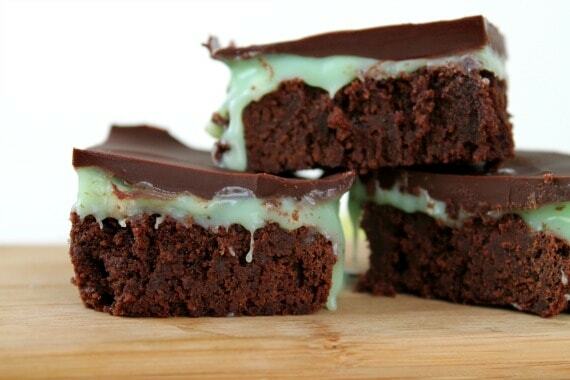 Mint Brownies— I’m so happy these brownies are in my life. I took them to work and people flipped over them. We’re imagine an ice cream cake version at some point in the future. They’re a touch fussy, but completely worth the effort. Chocolate mint heaven. 3. 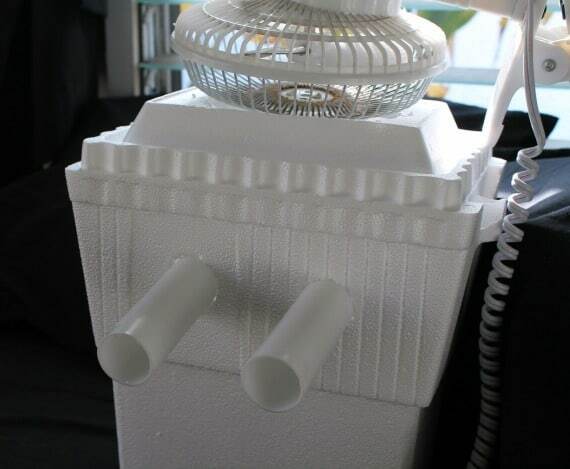 DIY Air Conditioner— One non-food post made it in to the top 10. This thing blew right in my face for months until, after a month of record high heat, we finally had to break down and buy a real air conditioner. I still highly recommend this super cheap method of adding a bit of extra cool air to your life. 2. Parmesan Fried Gnocchi— I just got a little sad realizing I haven’t eaten this in a while. I’m an idiot because this recipe takes five minutes to make and tastes like crunchy potato pillows. Don’t sleep on them. Put them in your face. Five minutes, people. 1. 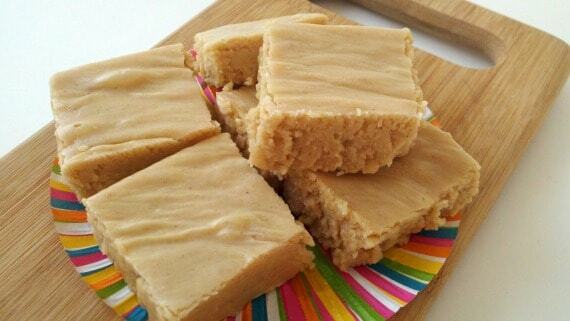 Peanut Butter Fudge— This is not only the top post of the year again, it’s the top post basically every day. 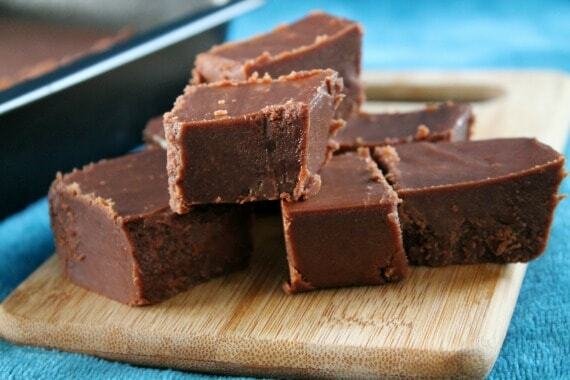 My mom’s peanut butter fudge is the most addictive thing I’ve ever eaten. I literally cannot be in the same room with this fudge without eating it non-stop. What were your favorite recipes of 2014?